Edward C. Todd, 80, passed away peacefully on Monday. Mr. Todd was born on June 25, 1938 in Wellsville, OH a son of Homer and Madge (Glover) Todd. Edward was a 1956 graduate of Irondale High School. He married his wife, the former Mary Jane Kerns on August 28, 1958, and together they would raise three children. Edward worked as a non-destructive test engineer at Titanium Metals in Toronto, Ohio and as a shift manager at RMI in Niles. 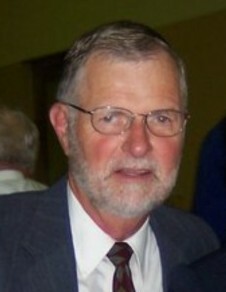 Mr. Todd was a member of Grace Christian Church. He was a member and past-master of the Salineville Masonic Lodge # 348, and a past member of both the Southern and Fairfield Ruritan Clubs. He also served o the Southern Local Board of Education. Edward enjoyed bicycling, reading, and the Ohio State Buckeyes. He leaves to cherish his precious memory his wife Mary Jane; daughters Dr. Debra (Dr. Larry) Black, of Ft. Myers, FL and Julie (Rodney) Davison of Hanoverton; a son Brian (Lois) Todd of Brighton, MI; grandchildren Lauren and Erin Black, Dr. Sarah and Katy Todd, and Braden and Alaina Davison; brother Ron Todd of Lambertville, NJ. Mr. Todd was preceded in death by his parents, two infant brothers, brother Homer Todd and sister Lila Mae Sprouse. Funeral services will be held at 11:00am on Friday, January 25 at the Seederly-Mong & Beck Funeral Home Columbiana Chapel, with Reverend Dr. Rob Joy officiating. The family will receive friends on Thursday evening from 5:00-7:00pm at the funeral home, 154 S. Elm St, Columbiana, and again from 10:00-11:00am Friday prior to the funeral service. A Masonic service will be conducted at 7:00pm Thursday evening. Burial will take place at Columbiana Cemetery.